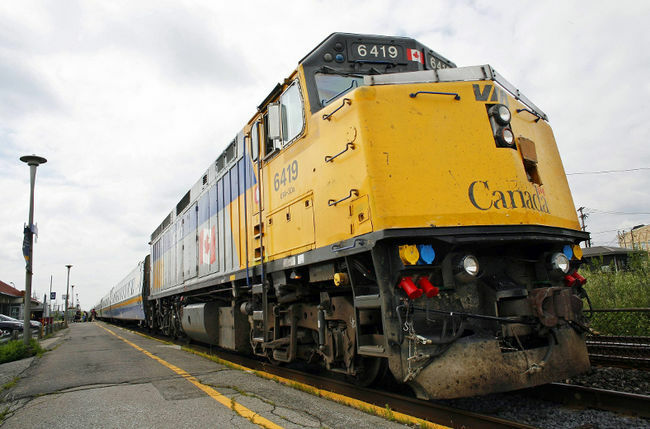 A group of Sarnia-Lambton residents have formed Rail Action in Lambton (RAIL) to work to reverse cuts to VIA Rail service in Sarnia. Jim Houston said four members of the group met Tuesday with Sarnia-Lambton MP Pat Davidson and asked for her help. “Pat was most receptive,” he said. Davidson said she will assist the group’s attempts to arrange meetings with the Transport Minister and VIA Rail. VIA blamed a lack of riders for its decision to cut Sarnia’s passenger train service in half last summer, leaving one train arriving daily in the evening and one leaving early in the morning. Houston argues VIA should be held responsible for its low ridership. Houston, who is also chairperson of the Lambton Seniors Association, said the VIA cuts are causing hardship for local residents. “We get calls in the office all the time about people not being able to get to London for their treatments, not being able to get to Toronto, in some cases, for treatments,” he said. Houston said they have also heard about students not able to return to school, or get homes on holidays, because of the VIA cuts. Houston said a group of residents has been meeting since last summer’s cut were announced and is now planning to form an executive. It also plans to set up a website and e-mail address, and will encourage others in the community to pass along stories about how they have been impacted by the service cuts. He said there are citizen’s groups in St. Marys and Sault Ste. Marie RAIL hopes to work with. “There are groups sprouting up all over the province, to the point that we feel perhaps, if there’s enough of a louder voice, then the Minister of Transport, VIA and Queen’s Park will have to listen to us,” Houston said. He added he believes it is time for all levels of governments to stop thinking passenger rail service is only a federal responsibility, and begin providing money for intercity transportation services in communities beyond the Greater Toronto Area. VIA Rail representatives have said that service reductions were made as a result of low ridership. Davidson said her office hasn’t received a large number of complaints about rail service, but has heard positive comments about bus service being offered by Robert Q in an arrangement made with VIA following last summer’s cuts. Earlier this year, an official with Robert Q said ridership on its Sarnia to London bus service had doubled.